Warm-up time. 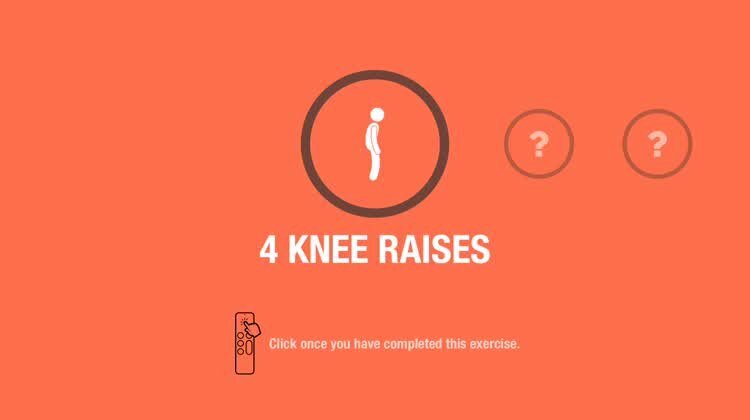 The app features a number of different equipment-free exercises that focus on different parts of the body. Start the workout. While you're encouraged to workout daily, you can select exactly how long you're willing to sweat. Good for more than just one person. Head to the app's Settings to save up to four different profiles and even switch the app's colors. Instead of needing to head to the gym for a workout, you can take advantage of the app any time of the day on the Apple TV. 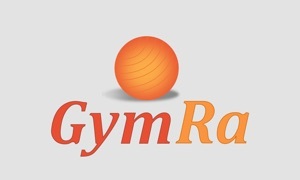 There are 18 different equipment-free exercises to select from. 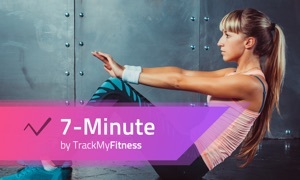 As a nice touch, you can select from four different workout lengths - 6, 12, 18, or 30 minutes. There is a video demonstration of each exercise and even tips to help refine your technique. You want to be motivated without going to the gym. 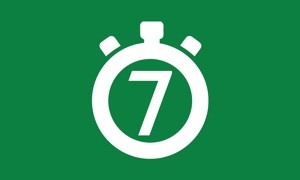 Don't have much time every day to dedicate to exercise and want to fit it into your schedule. 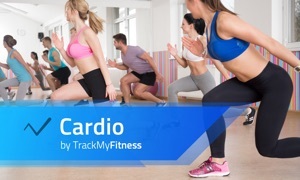 You're looking for a more full-featured exercise app. You like to see more detailed views on how to complete the different exercises. 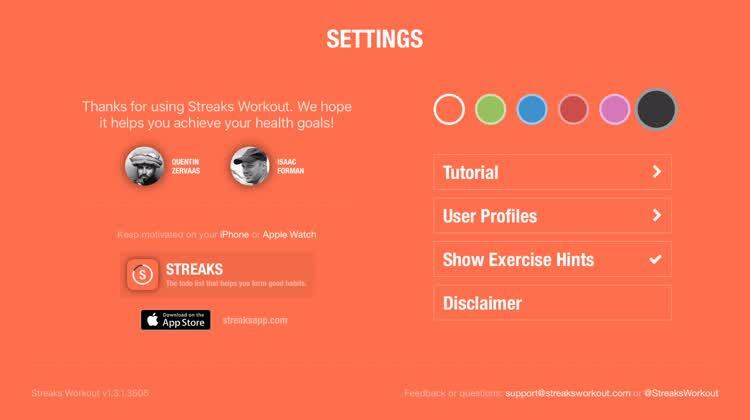 If you've enjoyed the original Streaks app, Streaks Workout is definitely recommended. It's well designed, and the different exercises are easy to learn and really help you break a sweat. 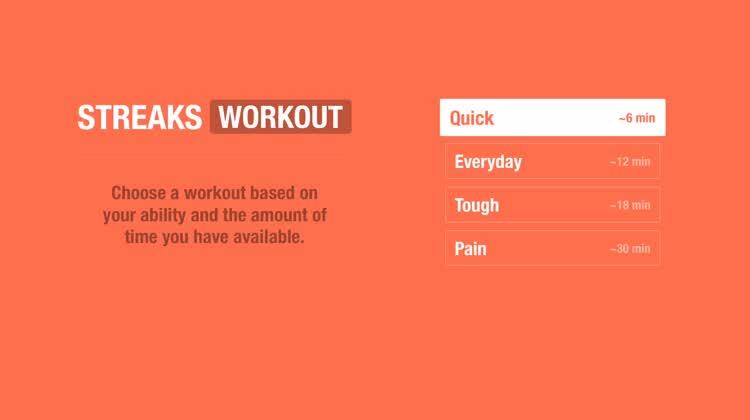 Being able to select the length of the workout really allows anyone to squeeze in some exercise daily. No more excuses: this is the workout you won't dread. If you have any questions, comments, please contact [email protected], or tweet us at @StreaksWorkout.